Professor Case has been a member of the University of Mississippi School of Law faculty since 2007. 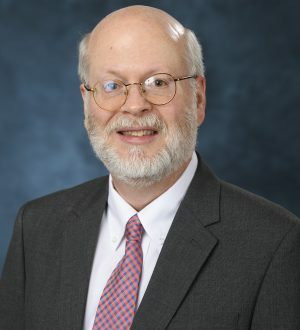 Prior to joining the Ole Miss Law faculty, Professor Case was a member of the faculty of the University of Memphis School of Law from 2001-2007. At Ole Miss Law, he teaches environmental law, administrative law, contracts, civil procedure, and property. He also regularly teaches as a member of the faculty of the university’s Sally McDonnell Barksdale Honors College. Professor Case received his bachelor’s degree from the University of Mississippi in English and Political Science. He earned his J.D. from the University of Mississippi in 1988 and served as comments editor of the Mississippi Law Journal. He earned his LL.M. from Columbia University in 1993. From 1998 to 2001, Professor Case was a Bridgestone Americas Fellow in Environmental Management at Vanderbilt University and a senior research associate with the Vanderbilt Center for Environmental Management Studies. In 2004, he earned his Ph.D. from Vanderbilt University in Interdisciplinary Studies: Environmental Law, Management and Policy. Following graduation from Ole Miss Law, Professor Case completed judicial clerkships for the Honorable Rhesa H. Barksdale of the U.S. Court of Appeals for the Fifth Circuit and the Honorable James C. Sumner of the U.S. District Court for the Southern District of Mississippi. Professor Case was in private law practice for seven years and a partner in the Jackson, Mississippi law firm of Ott & Purdy. He was also an attorney in the Civil Division (Commercial Litigation Branch) of the United States Department of Justice in Washington, D.C. Professor Case’s legal scholarship primarily focuses on environmental regulation and management. He has published numerous articles, book chapters, and essays, including articles in the Duke Environmental Law & Policy Forum, the Emory Law Journal, the Environmental Law Reporter, the Mississippi College Law Review, the Mississippi Law Journal, the University of Colorado Law Review, the University of Memphis Law Review, the Washington & Lee Law Review, and the William & Mary Environmental Law & Policy Review. He also co-authored (with colleague Professor Ron Rychlak) the book Environmental Law, part of the Legal Almanac Series: Thomson Reuters’ Law for the Layperson (re-released by West Publishing following original publication by Oxford University Press). Professor Case coached teams in the Pace National Environmental Law Moot Court Competition in White Plains, New York, for 17 years. His Ole Miss Law teams won five championships at the Pace NELMCC (in 2011, 2012, 2014, 2015, and 2016).